Below you will find useful tools that will faciliate referring a patient to us and to help us optimize each visit for your patients. To all of our colleagues, we want to thank you to you all for your support and the privilege you have given to participate in the care of your patients. We strive to exceed the standard of care for your patients, and ensure that you and your patients are satisfied when they are referred to Valley Urologic Associates. Should you need to contact us directly, please call our office and speak to our office manager so she can facilitate a direct conduit of communication between us. 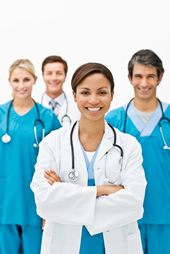 We accept a variety of insurances, and we strive to work with the patient to get the adequate referral paper work. If you need your patient evaluated in a timely fashion,or if we can be of further assistance, please do not hesitate to call us. Our newsletters are here to help you in practice and to educate our patients. Please feel free to browse our latest newsletter.